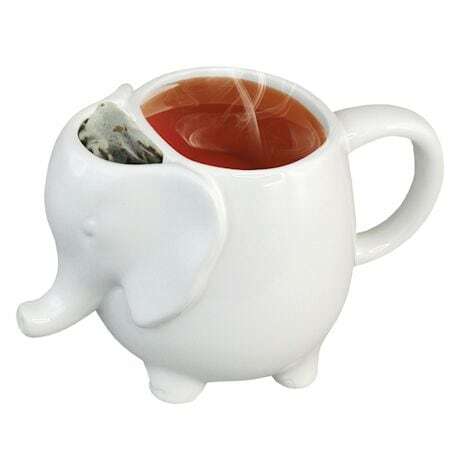 The appealing shape of this pachyderm makes it a pleasure to hold; the clever opening neatly stashes your teabag when you're done steeping and just want to enjoy your soul-sustaining brew. A wonderful gift for any tea drinker, this 15-oz. 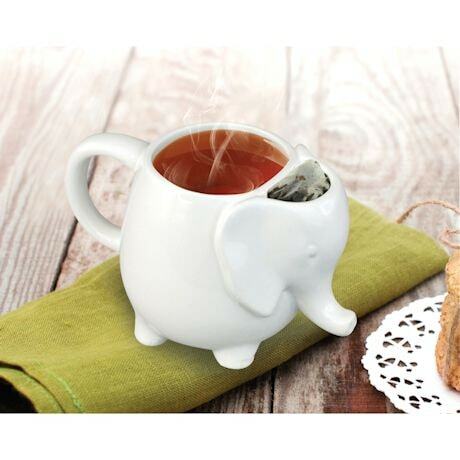 machine-washable mug is made of heat-resistant ceramic.